Digital Media Services Blog | Musings about professional video, photography, technology and the topics surrounding the business of such things. Musings about professional video, photography, technology and the topics surrounding the business of such things. The summer of 2011 has provided movie audiences with a full roster of feature film entertainment. We’ve enjoyed no less than 10 big-budget, action-packed films that, collectively, have provided entertainment for virtually all ages. Our previous blog posts about TRON Legacy and Pirates of Caribbean: On Stranger Tides have helped bring to light some of the technical considerations of modern filmmaking. But now that the blockbuster season is winding down, perhaps it’s a good time to reflect on what we’ve experienced this summer to see what trends currently dominate the Hollywood production process. We’ve had the opportunity to experience an array of different filmmaking techniques and movie styles over the past few months. Film, digital, 3D, 2D, IMAX, RealD 3D, Dolby Digital 7.1, live action, animation, super heros, westerns, action and sci-fi all graced our local cineplex screens. For the movie fan, it was a cornucopia of visual and auditory information overload. And for the cinemas, it was a profitable summer of popcorn and Coke sales. But is there anything for us film buffs to learn after laying down our hard-earned cash or running up our credit card balances to see all these films? Well, a few things may surprise you. Let’s take a look at the production details of the biggest films this summer. Following is a summary of the camera systems, aquisition formats and presentation configurations of 10 big-budget movies released during May, June and July. If the technical details of film production and presentation are of limited interest to you, we’ll summarize after the list. So, after sifting through all of that technical production and presentation information, what can be concluded? Quite a few things, it turns out. First, note that every single film listed above was presented in the 2.39:1 aspect ratio (also known as Scope, Anamorphic or Widescreen). Traditionally, there are far more films released in the 1.85:1 aspect ratio than the 2.39:1 aspect ratio. This is simply because 2.39:1 aspect ratio films generally result in higher production costs because of the production processes required. It’s true that action films or big-budget films are often released in the 2.39:1 aspect ratio but, for fans of widescreen presentation, it’s a welcome situation to see so many directors and cinematographers embrace the 2.39:1 aspect ratio. Secondly, notice how many of the movies utilize traditional 35mm film cameras as their aquisition format. If you remove the two computer animated films from the list, only one of the remaining nine films was shot completely digitally. Every other film was completely or mostly captured using 35mm film systems. In this age of digital filmmaking (heck, digital everything, really), it’s really interesting to see how well 35mm film is represented this summer. I’d venture to guess that this summer represents the highest percentage of film-based movies we’ve had in the past 5 years. The film production vs. digital production situation will be interesting to keep track of in the coming years. Thirdly, with 3D supposedly being all the rage right now, note how few films were produced the dual camera stereo 3D process…only two. And three of the nine live action films weren’t even offered in a 3D presentation format. 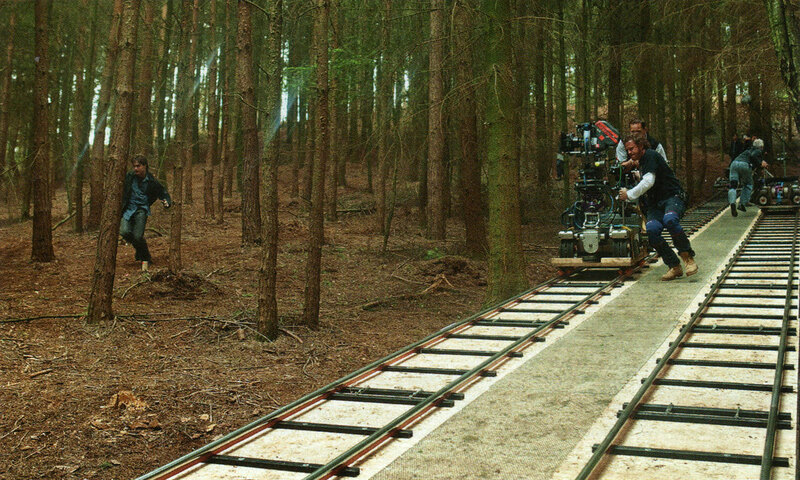 Of course, the two parts of the Harry Potter finale were shot at the same time and the filmmakers only found out towards the end of principle photography that Warner Brothers decided to release the final film in 3D. Still, it would appear that Hollywood has perhaps cooled off a bit – at least for the time being – about shooting everything in 3D. While we still have a few more big-budget films scheduled for late summer, the next big movie season is the holiday season. On tap are several action films, a few animated films, some super hero films and even some remakes and re-releases. We’ll keep track of these releases and provide an update on the production and presentation trends throughout the rest of 2011. In the mean time, we invite you to leave a comment about what you thought of the summer 2011 movie season. We’d love to hear your thoughts on 2D vs. 3D, Real-D 3D vs. IMAX 3D, 2.39:1 aspect ratio vs. 1.85:1 aspect ratio, film production vs. digital production, film projection vs. digital projection, stereo production 3D vs. post conversion 3D or any other thoughts you have on the current state of movie production and presentation. We appreciate you taking the time to read and respond. Kelly Roell is the co-owner of Nautical Landings, a waterfront vacation condominium destination on the Gulf of Mexico in Dunedin, Florida. Already doing well with promoting her business, Kelly and her partners wanted to find ways to increase the total number of vacation rental bookings year-round. 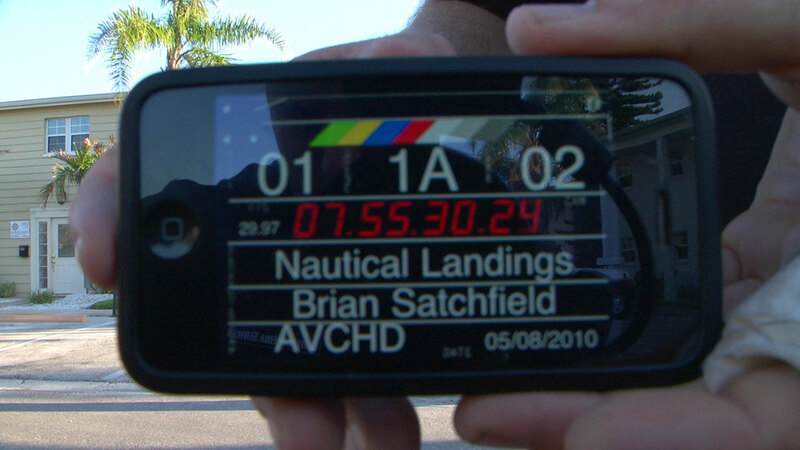 Kelly hired Digital Media Services to produce a promotional video to be used on the Nautical Landings website. Following is a series of questions I asked Kelly about her various marketing efforts and her decision to add a video to her website. Through her answers, Kelly provides valuable insight about how to approach the idea of web video and how to integrate it into an overall marketing plan. Small business owners and those looking for new marketing avenues will find her responses honest, candid and quite sensible. What type of marketing efforts were you using prior to hiring Digital Media Services to produce a web video? I advertised Nautical Landings through a variety of outlets including several different vacation rental websites, our own web page, Twitter and Facebook. Why did you feel that adding web video would help your overall marketing plan? I couldn’t create the feel of being at Nautical Landings nor capture the beauty of the place with just my still camera. I knew how effective videos were in hotel marketing and how effective commercials and movie trailers were in capturing the essence of the product they were selling. I wanted a video to capture what it felt like to vacation at Nautical Landings in order to set us apart from our competition. What were you looking for in a video production company? I needed someone willing to work with the vision I had in mind. I already knew what I wanted to do with the video because I’d scoured between 75 and 100 videos on every subject – from weddings, movie trailers and commercials to vacation real estate – to get a feel for how it could be done. Why did you select Digital Media Services to produce your video? I looked at Digital Media Services’ body of work and compared it to others. I had upwards of 30 videographers I was selecting from. I chose Digital Media Services because of their previous work, their professionalism, their willingness to work with my vision and their proposed cost. It couldn’t be beat. What was the process like for having a production company shoot and edit your video? Simple and painless! The Digital Media Services crew was courteous and willing to shoot and re-shoot for the perfect shot. They were flexible, making changes on the fly, and had an ease about them that made us all comfortable. They helped us get the best possible shots in the time allotted and worked the entire day to get our video right. 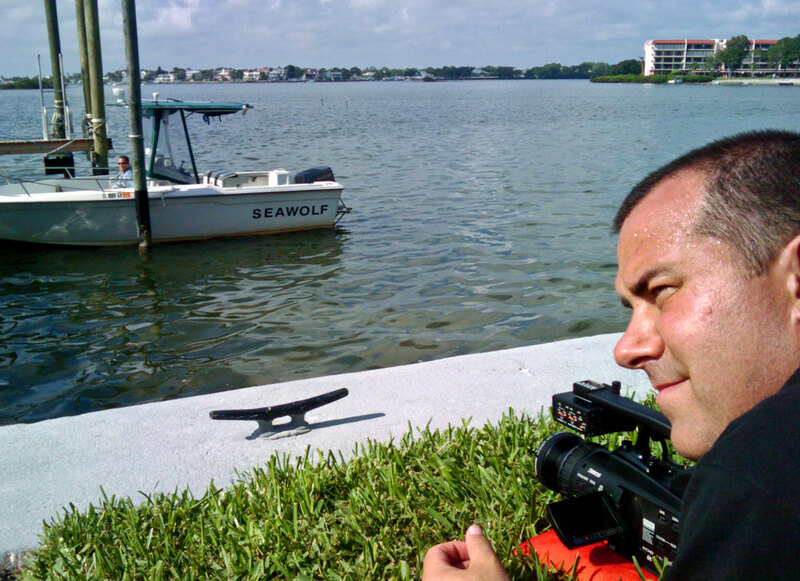 Shooting on the dock, being careful not to step back! What involvement did you have in the production and post-production processes? Digital Media Services said that they’d put something together for me with the music I’d selected based on the vision that I had. They nailed it! We literally only changed one or two things after they’d spliced the video together because they had listened attentively to what I wanted. What was the strategy behind launching your new web video? I Tweeted about the new video to come for about three weeks prior to the launch. I posted updates on Facebook indicating the video was coming and I sent an email to all of our past guests informing them to be on the lookout for the video. When Digital Media Services posted the video on our YouTube channel, I Tweeted it, posted it on Facebook, updated all of our vacation websites with it and sent out emails. What expectations did you have in adding video to your website? I expected more traffic, for sure, and I got it. Not only did I get more traffic, I closed sales more often than I used to. As soon as I showed people the video, it sold them on our property because they could then visualize themselves staying at our place. The business was doing well already but we had a large percentage of traffic that wasn’t turning into rentals. Once people rented with us, they ALWAYS were happy and many came back, but I wanted to shrink the number of guests who were choosing other vacation destinations besides ours. What specific results were obtained by adding video to your website? I haven’t done a detailed analysis of the data but I DO know that 9 times out of 10 if someone is on the fence about renting and they see the video, it makes their decision for them – they stay with us. Our rentals were up by 40% compared to the previous year. This year, even with the addition of another condo into Nautical Landings, we have been booked 100% since December 19, 2010. Are you happy with your decision to add web video to your marketing efforts? Extremely. It was a smart move on our part! How does using web video compare with your other marketing efforts? I feel that video is always more effective than words, even with the best writers on the team, especially when you’re trying to convey a feeling. Our video showed our guests what our pictures couldn’t – the wind blowing the palm leaves in the breeze and friends gathered, chatting during a sunset. You can describe those things and take pictures of those things but a video (done properly!) can create a feeling than other media cannot. To what type of businesses would you recommend adding web video to their marketing efforts? What type of business wouldn’t benefit from a video? Any business selling a product or service whether it’s food, massages, bicycles or vacation condos would benefit from a web video. Why is it important to hire the right production company to produce your web video? You need a team that is timely, professional and, more than anything, understands your vision. No one understands your product like you do and a production company can help you showcase it, but they have to be willing to listen to your needs. What are you final thoughts on your decision to add web video to your marketing? It’s the best marketing decision we’ve made thus far. What are your final thoughts on choosing Digital Media Services to produce your web video? We obviously were thrilled with Digital Media Services – we chose them to do another video for us again when we purchased an additional condo. We’d hire them again in an instant. 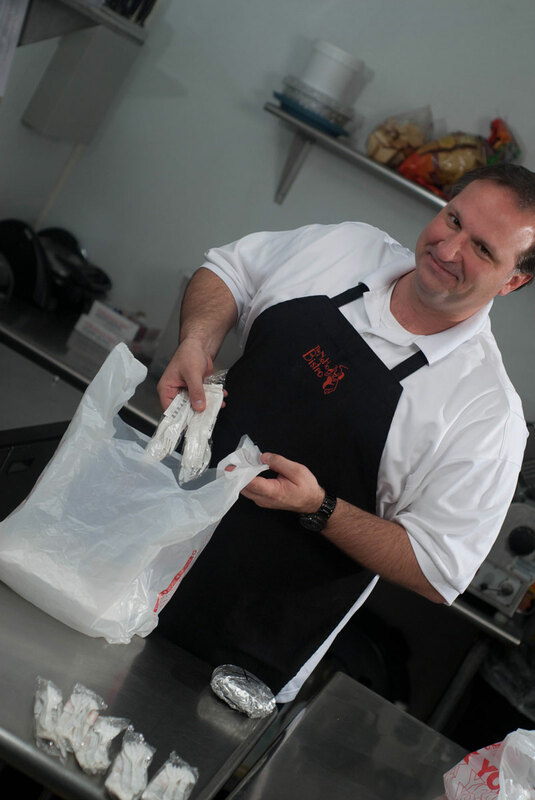 Kelly’s small business doesn’t have an unlimited marketing budget. In fact, they were concerned that they wouldn’t be able to afford a high-quality video production. But by listening to what Kelly wanted and what she felt would help her sell her property better, we were able to come up with a proposal that showcased the enjoyment Nautical Landings offered without breaking the bank. Web video doesn’t have to be expensive to be effective – it just has to be done right. It’s all about presenting a visual message that communicates to the viewer at a level proportionate to the value of the product or service you’re selling. However, it’s vitally important to make a distinction between home movies, amateur video and professional production. Home videos and even low-budget or do-it-yourself videos are fine for communicating with family and friends or even presenting short, casual information about your business. But when it comes to producing a video that will serve as a primary focus in presenting your company to your clients and potential clients, you’re likely to do more harm than good by not working with a professional. Of course, if you’ve set aside a considerate amount of marketing dollars to focus on video, the possibilities are almost limitless! We’ve produced video content for some of the biggest names in their respective industries with incredible results. Adding production value in terms of camera movement, cinematic lighting, unique locations, talent, makeup, wardrobe, etc. can really produce some fantastic results. Feel free to contact Digital Media Services or post comments here about your experiences with web video or if you have questions regarding how video might help you grow your business or communicate your message. Wether you’re announcing a new product, introducing your staff, providing education information, delivering commentary or simply looking for new ways to grow your business, web video can often be the best method to accomplish your goals. And we’ve not even touched on the increased traffic generation, better web search response and other SEO benefits web video can bring! Pirates of the Caribbean: On Stranger Tides…which 3D version is better? The summer movie season is upon us and the next three months should provide lots of exciting entertainment for movie goers. Thor kicked off the season in early May and Pirates of the Caribbean: On Stranger Tides is now making its run in several 3D formats. 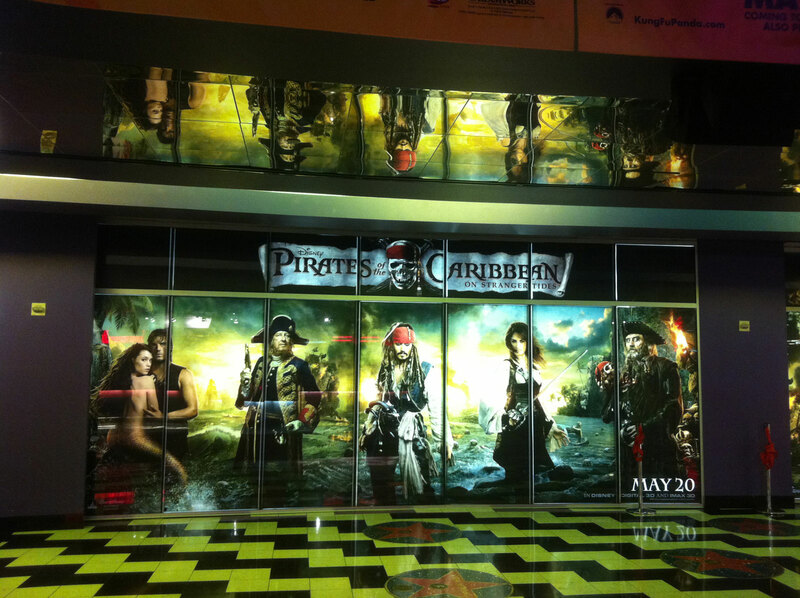 I was invited by Disney to a press screening of Pirates on May 19, the day before its official release. 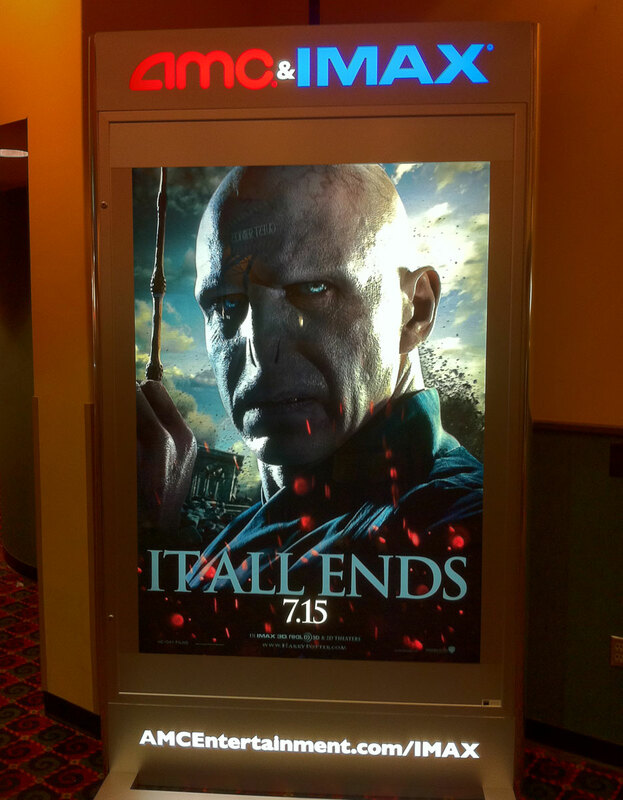 The film shown at the screening was presented in RealD Cinema 3D on a medium-sized screen at the Regal Citrus Park 20 in Tampa. I saw Pirates a second time at the renowned Brenden Theaters and IMAX at The Palms in Las Vegas in the IMAX [Digital] 3D format. While I’ll leave a review of the film to other movie sites, I’d like to offer some comparisons between the two digital 3D presentations. After seeing the RealD Cinema 3D showing of Pirates of the Caribbean: On Stranger Tides, which was shot primarily using Red Digital Cinema RED ONE cameras with pickup shots captured on RED EPIC cameras, I was left with the impression that visually, the film was dark, somewhat dull and lacking in detail. 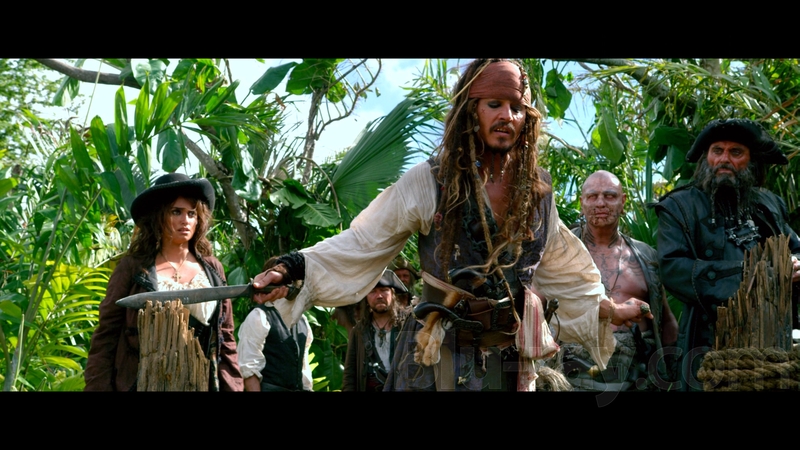 I know cinematographer Dariusz Wolski – who framed all three previous Pirates of the Caribbean films – would not choose to deviate from the vibrant, sharply-focused and detailed image present in the prior chapters of Jack Sparrow’s adventures, so I was a bit disappointed in this particular 3D presentation. In actuality, the RealD Cinema 3D system, which makes use of a stereoscopic projection system that utilizes a special silver screen and a lens and glasses polarization technique, is known to produce an image that’s about one-third the brightness of a standard 2D film projected on the same screen. A darker projected image means that the viewer won’t experience a picture with the level of contrast (the difference between the darkest black portions of the image and the brightest white portions of the image) expensive cinema cameras can record. RealD 3D films are projected using a single digital projector that presents both the left eye and right eye images as alternating polarized pictures to create a three-dimensional effect. While a polarized projection system is less susceptible to distortion when a viewer moves their head about, it also halves the resolution of the recorded image since half of the total pixels are used for the left eye and half for the right eye. Thus, the RealD format is not only darker, but less detailed. On a positive note, most viewers tend to prefer the look and feel of the RealD Cinema 3D glasses over other systems. The IMAX [Digital] 3D showing at the Brenden Theaters at The Palms in Las Vegas was a completely different experience. 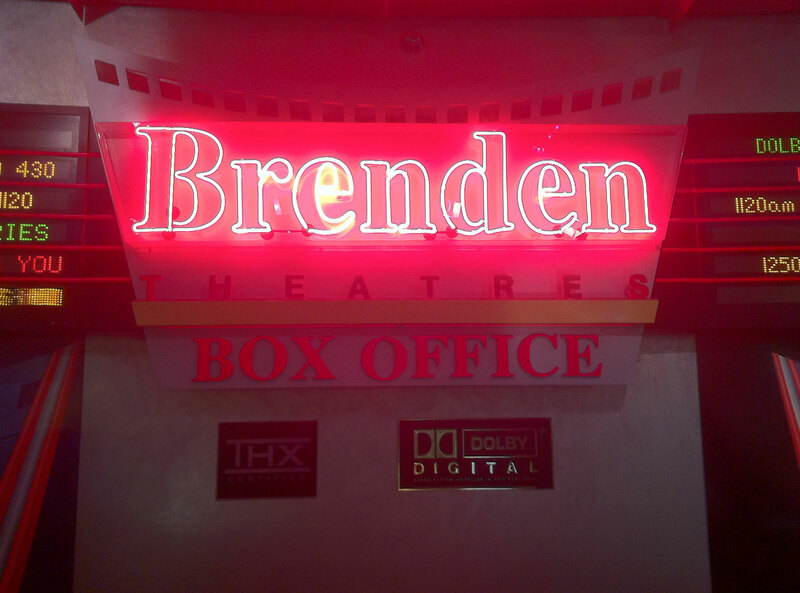 First, let me note that the Brenden chain of movie theaters, which was founded by CEO Johnny Brenden, grandson of Ted Mann, founder of Mann Theaters, is known in the industry as a theater chain that takes great care to provide their audiences with high-quality picture and sound. Most of their theaters are THX-certified and make use of the latest cinema technology. The Brenden Las Vegas is a 14-screen, all-THX cinema with auditorium 9 featuring a full IMAX screen and IMAX [Digital] projection. This is where I saw Pirates the second time. The IMAX auditorium at the Brenden Las Vegas is actually a hybrid IMAX system. The movie screen is the traditional, five-story, squarish IMAX screen – no doubt originally installed for presenting standard 70mm IMAX films – but the projection system is the new, dual projector 2K digital IMAX system. The combination actual works quite well since the huge screen allows for pristine presentation of IMAX 3D films. The IMAX 3D version of Pirates was full of contrast, detail and clarity. The blacks were deep and inky and the whites were bright and clean. Colors popped in sunlit scenes and the dark, dingy locations below the decks of the ships were full of subtle detail. The close up shots of Barbossa’s face properly showcased the special, albeit gaudy, makeup treatment reserved for British officers and the tight shots of Blackbeard allowed one to count the hairs extruding from his face. The sound system in this particular IMAX auditorium was a bit of an oddity, too. 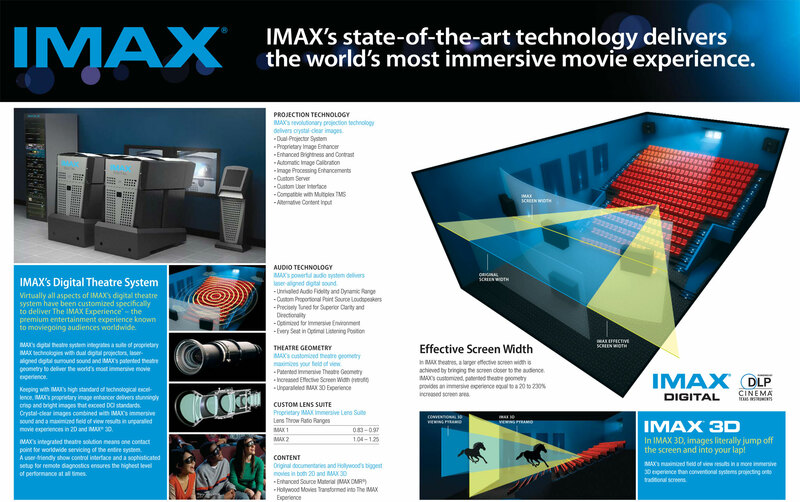 Since the screen was the traditional, large format IMAX screen, I can only assume that the sound system installed behind the screen is the traditional, multi-channel IMAX sound system used for the 70mm film presentations. However, since we were viewing a new digital IMAX presentation, which normally utilizes a different type of sound system, I’m not sure how the two sound formats were adapted to work with one another. Additionally, the theater is listed with THX and other resources as a THX-approved theater. Well, THX-approved theaters don’t include IMAX screens with IMAX sound systems. Again, I have questions as to how this traditional IMAX sound system can be listed as a THX-approved system, unless some special adaptations were made to meet the criteria of both systems. I’ve contacted both THX and IMAX about these issues; I’ll post an update should I hear anything back from either company. Dolby also produces a digital 3D system named Dolby 3D. 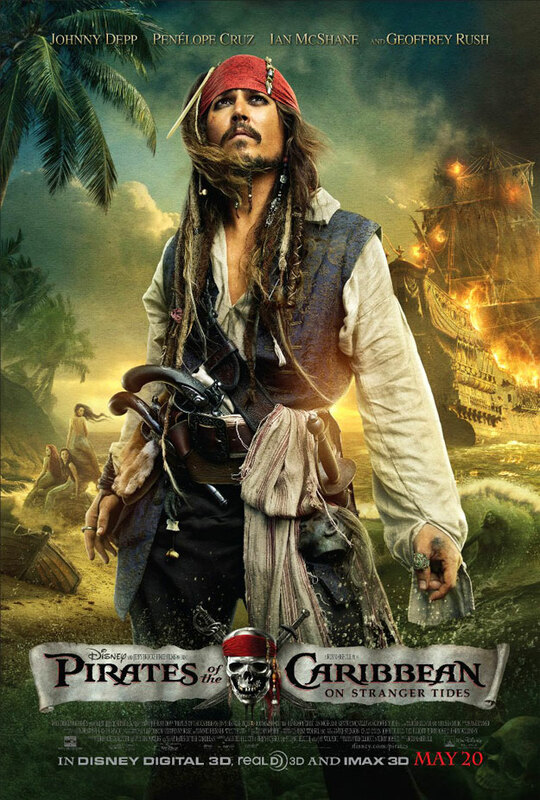 Although Pirates of the Caribbean: On Stranger Tides has been released in the Dolby 3D format, I’ve yet to have the opportunity to visit a theater showing this version of the film. I’m anxious to audition a Dolby 3D film to see how it compares to RealD Cinema 3D and IMAX [Digital] 3D. The XPAND company also manufactures a 3D cinema system as does the Master Image company. I’ve yet to see a film in either of these formats. Note that Disney Digital 3D is simply a trade name applied to Disney films released in the 3D format; Disney does not manufacture any type of 3D projection system. So, in conclusion, be aware that not all 3D is created equal. I’ve mentioned before how impressed I’ve been with the IMAX [Digital] 3D system and this recent direct comparison between the IMAX system and the RealD Cinema system validates my initial findings. Check your local theater listings to see what version of 3D digital projection they offer; most movie listing sites like Fandango will indicate which digital projection and 3D formats are available near you. If IMAX [Digital] 3D is an option for you, I highly recommend it. And once you’ve seen a 3D presentation of Pirates of the Caribbean: On Stranger Tides, leave a comment sharing your experiences with the presentation. 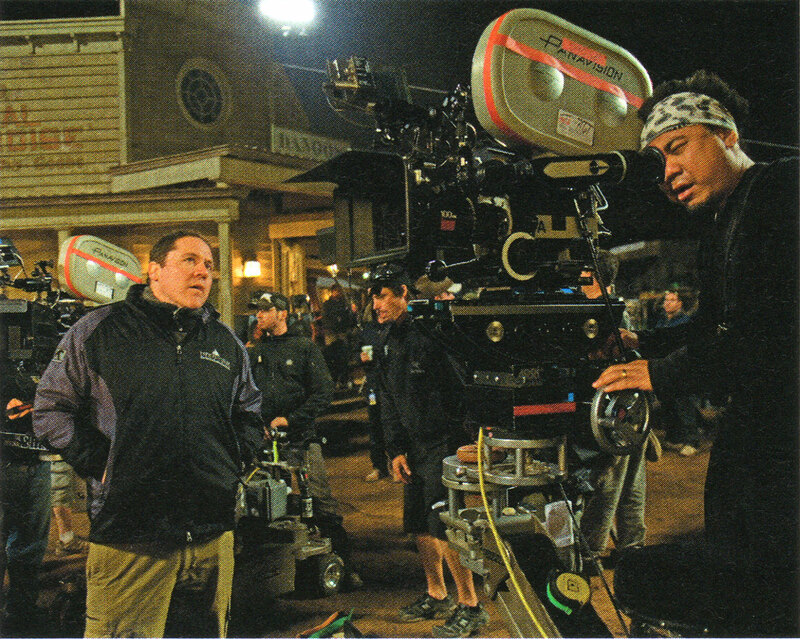 Virtually every scene in TRON Legacy was shot with the Sony F35 CineAlta digital cinema camera. This camera has a native 1.78:1 (16×9) aspect ratio and captures footage in the 1080p high-definition video format (1920×1080 pixels). 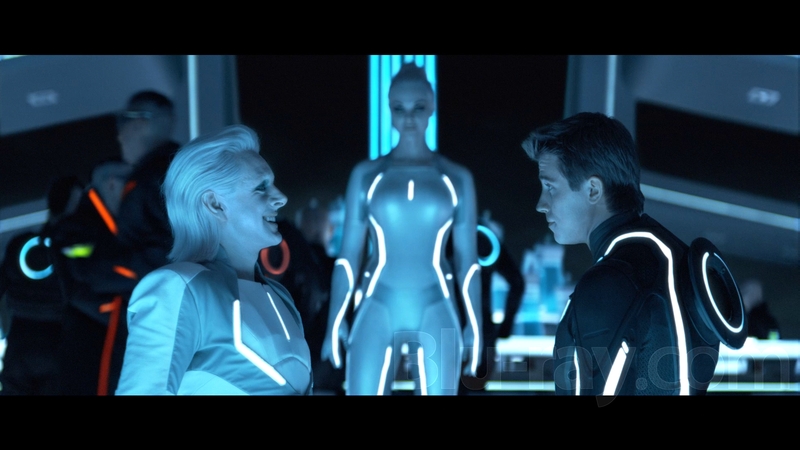 The 2.39:1 aspect ratio of the TRON Legacy theatrical presentation (2.35:1 on the Blu-ray) was accomplished by matting out the top and bottom portions of the recorded image with black bars to create a letterboxed projection. Unlike The Dark Knight, which also had a changing aspect ratio because of the different camera systems used, no IMAX film cameras were used to shoot TRON Legacy. The 1.78:1 (full height) aspect ratio of some of the scenes in the TRON Legacy IMAX presentation was created by simply not including any mattes on the top and bottom of the recorded image and allowing the full native 1:78:1 recorded image to be projected. The non-IMAX digital projections and the 35mm film projections of TRON Legacy all had a fixed 2.39:1 aspect ratio throughout the entire film. DCP-compliant digital theater projectors including ones manufactured by IMAX, Christie and Sony have a native aspect ratio of 1.9:1, which is slightly wider than the 1080p format, so a slight conversion or matte of the recorded 1080p image needs to take place. The IMAX presentation of TRON Legacy was used as the master for the production of the Blu-ray so we see the changing aspect ratio when viewing at home, just as we did in the IMAX showings. During most of the movie, we’re presented with a letterboxed 2.35:1 image with the special “IMAX” scenes in full 1.78:1 (16×9) framing, filling our TV screens with picture image. From the moment Sam first sees the first Recognizer upon entering the digital world of The Grid until he is going down the elevator lift on his way to the Sirens to be outfitted for the games. From the moment Sam enters the arena for the disc games until he is retained by Clu’s sentries and brought to Clu’s transport. From the moment Clu’s transport leaves for the lightcycle grid until Sam and Quorra are on the elevator lift entering Flynn’s dwelling. From the moment Sam, Flynn and Quorra leave the elevator platform to board the freight transport after escaping Castor’s (Zuse’s) club until the three of them exit the transport after it docks at Clu’s flagship. Note that the scenes of Clu and his team inside Castor’s club cut within the freight train sequence are in the 2.35:1 aspect ratio. From the moment Clu rises to the podium inside his flagship to address the army of programs he’s assembled until he has completed his speech to them about entering the real world. Note that the scenes of Clu’s flagship disembarking for the portal cut within the toast sequence are in the 2.35:1 aspect ratio. From the moment Clu’s team leaps from the flagship to chase after Sam, Flynn and Quorra in their stolen fighter through Flynn’s sacrifice until end of the scenes inside the computer on the grid. The end credits sequence of the film is in the 1.78:1 aspect ratio. Again, note that these special vertically-extended scenes, produced exclusively for viewers of the IMAX presentation (and now the Blu-ray), were simply created by removing the mattes at the top and bottom of the screen that are in place throughout most of the film to reveal the remainder of the full, native 1.78:1 recorded image. The manner of creating a 2.39:1 aspect ratio film, sometimes referred to as scope or anamorphic, by matting a native 1.78:1 aspect ratio recording brings up some interesting discussion points. Traditionally, a wide aspect ratio film is created because a director or cinematographer wants to create an image larger in scope than what the traditional 35mm film width can provide. This wider scope can be created by using multiple cameras and projectors like the now-obsolete Cinerama system, by using a wider gauge film such as 55mm or 65mm formats or by using an anamorphic camera lens system that squeezes a wider image onto standard 35mm film by means of lens distortion. An anamorphic image on standard 35mm film is un-stretched by using a corresponding anamorphic projection lens that widens the image back out to its natural look. All of these methods provide a director with a means to create a wider image than what standard 35mm film can provide. 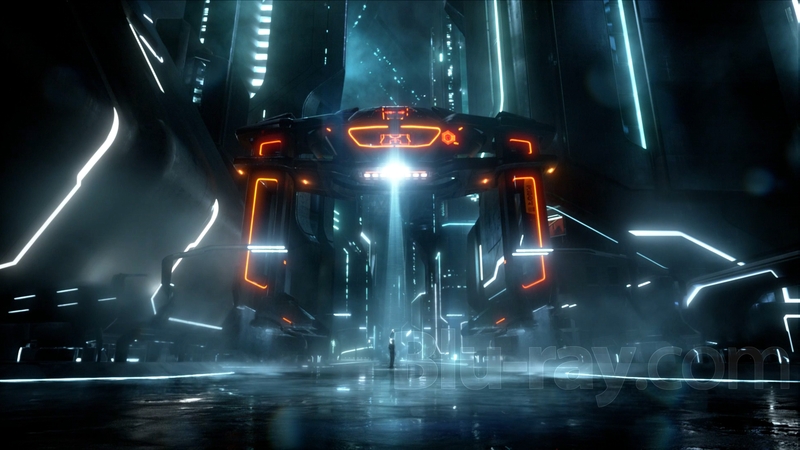 However, in the case of TRON Legacy and other films shot with a digital acquisition system that uses a native 1.78:1 aspect ratio, the only practical way to create a wider aspect ratio is to letterbox or matte the top and bottom of the recorded image to create a seemingly wider projected image. This matting creates a loss of image resolution as fewer vertical pixels are used for picture information. This is not an ideal situation and one that needs to be addressed for future digital cinema production. The use of anamorphic lenses may be one solution. Using anamorphic lenses to squeeze a wider image onto a native 1.78:1 capture area will result in a wider aspect ratio without the need to waste pixels on black matte bars. Future camera systems that utilize wider aspect ratio image sensors is probably a better way to go. To gain the full benefit of a wider sensor, digital projection systems will need to be developed that can project a wider presentation than the standard 1.9:1. The digital cinema world is in its infancy. Digital acquisition and projection offers many advantages over traditional film systems. However, we still have a way to go before we can fully replace the tried-and-true picture quality and aesthetic of 35mm film. 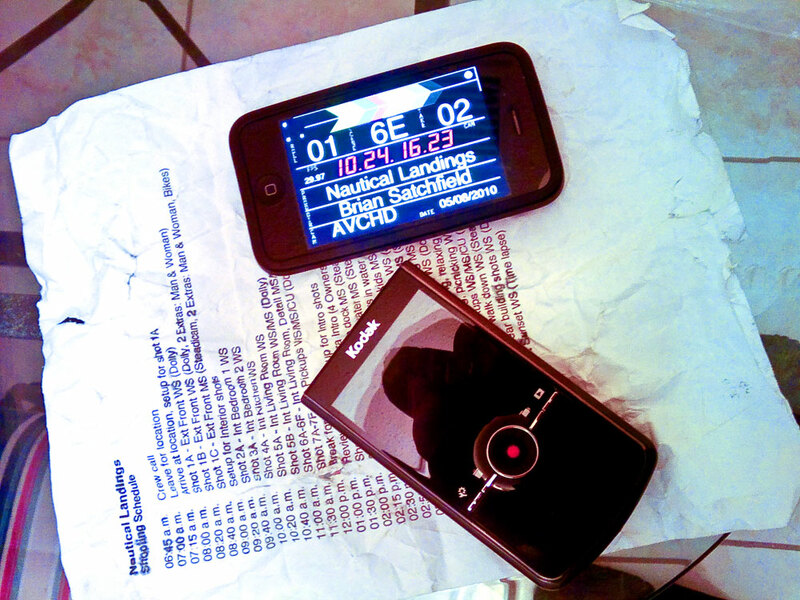 Figuring out how to record, edit and project a motion picture digitally was the hard part. Now we move on to the refinement. Good things are yet to come. I hope readers will leave comments, share thoughts and ask questions. I’m glad to share the feedback from the curious, the critical and the creators. I started producing web videos back in the early days of streaming media before we had YouTube, Vimeo or Hulu and when a 300 kbps video stream was considered high bandwidth. Today, streaming video services are accountable for almost 40% of all Internet traffic and broadband connectivity has allowed video producers to offer high definition, cinematic-quality productions. Video is everywhere. It can be a valuable tool for communicating or entertaining and is continually becoming easier to produce and access. If you work in a marketing-related job, are a small business owner or otherwise have a need to communicate to an online audience, you may be considering increasing your online video offerings or perhaps testing out video for the first time. With so much online video available today, how do you create something that will stand out or at least be effective in sharing your message to your targeted client group? Well, gone are the days when simply having video on your website was unique. You need to be a little more savvy than that. 1. No one cares about what you think…they want to know that you care about what they think. Yes, I know that’s a bit harsh and was admittedly partially written to serve as an attention grabber. But the point is this: you need to present your message with your audience in mind, not your own corporate fiscal objectives. Time is valuable to most people. They don’t have even a few minutes to waste watching a hard sales pitch, a series of commercials or something that’s not what it was advertised to be. Unless you offer something so unique that it sells itself, you need to present something of value to your audience in your online videos. This doesn’t mean you can’t use video as a sales tool. It is, in fact, a great sales tool. It works like this…if you consistently present something of value as it relates to your business, organization or area of expertise, you can begin to become a trusted resource for a particular topic. If you own a shoe repair business, for instance, consider creating a video about what types of shoe polishes you’ve found will help shoes last longer. Are you a financial planner? Perhaps a video that introduces the basics of various types of investment products would be useful to potential clients just getting started in investing. An experienced video production company can help you develop an effective script or outline. Over time, you become the person that comes to mind when a conversation about shoe repair or investing arises. 2. Be short and to the point. We’ve already mentioned that people value their time. This is especially true of web surfers. The internet is a source for quick answers, instant gratification and almost unlimited options for finding what you need. Your videos should follow suit. Remember, your information is probably not 100% unique. You’re likely not the first and you probably won’t be the last to present video about your topic. So, make sure that your video is the most effective one by providing information quickly in an easy-to-follow manner. Your video – especially if it’s your first video – should provide the intended information within the first 30 seconds or so. Supportive or explanatory information can follow. Most video viewers have an attention span for a maximum of 2-3 minutes. If your video is boring or doesn’t quickly provide the information the user is expecting, you’ll be lucky if someone watches longer than 15-20 seconds. One of the first tasks we often tackle when producing a video for a client is to edit their script. An outside point of view by someone who’s created lots of online videos can often be the tweak you need to help your video go from good to great. So don’t be afraid to let your script be massaged a little. You can always direct viewers to more in-depth videos, brochures, web pages, etc. if you feel you have more information to share. Tony Michaelides is a record-promoter-turned-publicity-coach who was in need of a short video to help launch his new business venture, an organization that assists rock bands, artists and corporate executives in building their brand. Being a former band publicist, Tony loves to talk. Getting Tony to think in 1-minute sound bytes was quite a challenge but necessary if we were to create an effective introduction to his services. We wrote, produced and edited the following video for Tony’s EPK website..
3. Remember to accurately represent your brand. Your online video is just a single component of your overall brand; it should work in coordination with the rest of your brand elements to put forth what you hope positively and accurately represents what your company, group or idea is all about. There are some facets of your brand identity that are simply out of your control. You don’t have much of a say over what a journalist writes about you, what someone in the grocery store line overhears about you or what feedback someone writes about you on a website. This makes it all the more important to use the elements of your brand within your control to present a clear, strong message. If your company brochure, yellow pages ad and website all talk about how your company stays on top of the latest trends and utilizes the latest technology in your product and service offerings, you certainly don’t want your online videos to look like they were produced with equipment found at a garage sale. I’m not saying that an effective web video has to be expensive; I’m just saying that your videos are a visual representation of your brand – make sure what viewers see is in alliance with what you say your brand is. If you want your brand to be fun, exciting and energetic, then guess what – a bland, boring video doesn’t support your stated brand. Likewise, if you want to promote a brand that can be described as serious and strictly professional, then create a video that showcases those ideals. A simple but effective exercise we often ask our clients to complete is to write down the 4 or 5 core elements of their brand and then compare that list with their video script or outline. Does one support the other? If not, some reworking may need to be done. Seeing visual evidence in the form of an online video that you are who you say you are can go a long way to developing a strong brand identity and can build trust between you and your audience. 4. Be visually, topically or personally interesting. You’re not going to develop a reputation as a master of online video by creating mundane talking head videos about topics few care to hear about. You need to be able to capture a viewer’s interest. If you have an outgoing, likable personality and enjoy speaking in front of an audience, use that charisma to its full potential. Be known as the geeky guy, the crazy girl, the wordsmith, the funny man or the southern belle. Having a “hook” will get people to watch; providing them valuable content will get them to watch again. If strong presentation skills aren’t what make you who you are, then be interesting by using your writing skills, your superior subject knowledge, your vast experience or your ability to provide statistics. Find a way to stand out using your strengths. Everybody’s good at something; find a way to incorporate what you’re good at into your videos. And if you’re afraid your weaknesses will be difficult to disguise on camera, then work on becoming better at what’s holding you back. We provide many of our clients with presentation skills training which help them become better video makers. The goal is not necessarily to become a master orator but to simply to become more comfortable presenting. Watching yourself on camera and getting constructive feedback will go a long way to becoming a better video maker. 5. Create opportunity for follow up. Advertising professionals always encourage their clients to include a call to action in traditional advertisements like television commercials and billboards. 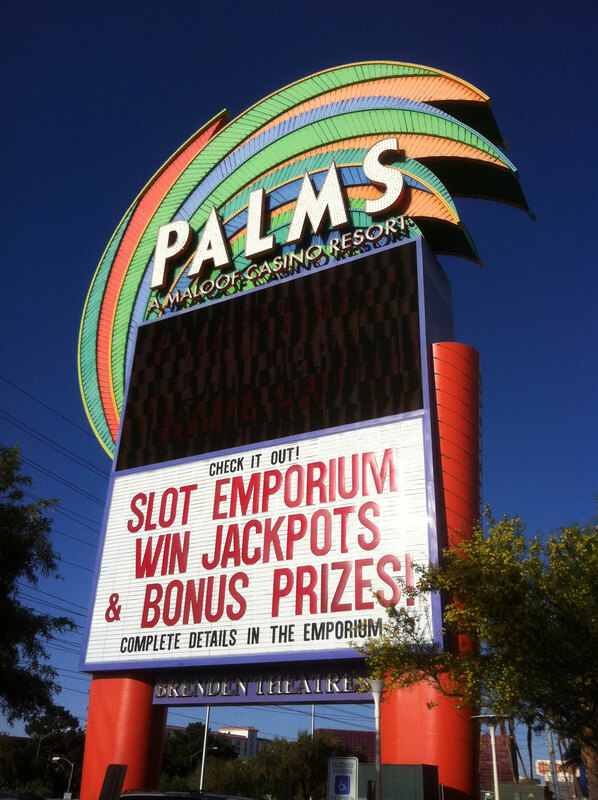 Ads can tell viewers to stop by a store, call a phone number or visit a website. With online video, we have so many more options for follow up. We can tell viewers to subscribe to a newsletter, to become a Fan on Facebook, to follow us on Twitter, to read our blog, to send us an email, to tune in to more videos…the list goes on and on. Always encourage your viewers to follow up with you in some way. And make it easy for them to do so. Make sure links to your contact information and all of your social media sites are on the same page as your video. Have a way for viewers to sign up for an email newsletter. At a minimum, take a moment in your video to tell the viewer to check back next month for a new video or a follow-up news article. I’m sure you’ve been bombarded by online video pitches over the past several months. Well, it’s for good reason. Video can be a powerful tool in communicating to your online audience. 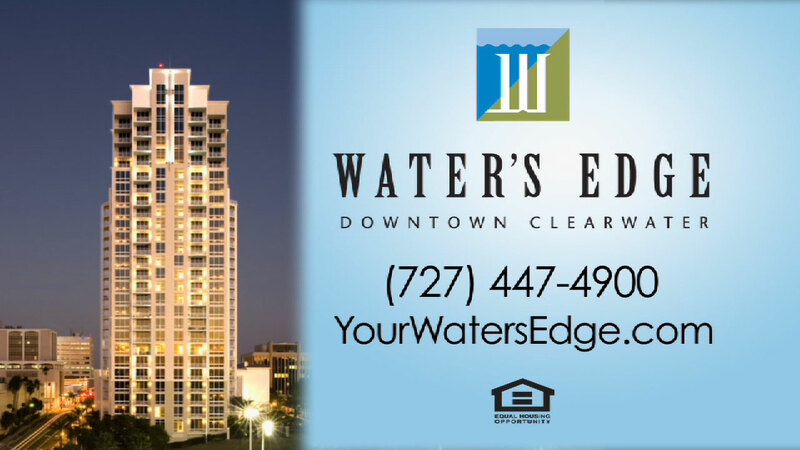 Just this week I received a call from a client for whom we produced a promotional video showcasing her vacation rental condominiums. She’s had such an increase in business – in no small part because of the video – that she’s now able to purchase an additional property! She’s asked us to now go back and update the video to include the new location. Online video works! But just having any old video on your site likely won’t bring you riches. It needs to be an effective video. Consider these 5 tips and partner with a video production company that has the experience, skill and knowledge to produce something that will bring results. Thanks for reading. We welcome all comments and questions. And good luck with you online video efforts! 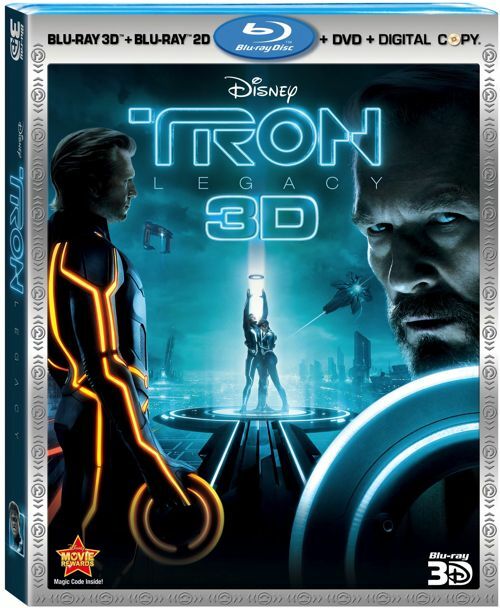 TRON Legacy…from IMAX Digital 3D to Blu-ray: is there even a difference? One of the hottest Blu-rays around right now is Disney’s TRON Legacy. And for good reason…this 1080p, 7.1-channel version of the film offers viewers mind-blowing animated visuals and a soundtrack capable of rattling windows. For fans of the genre, the continuation of a story involving the virtual reality of living programs inside a computer network along with the ability to revisit The Grid almost 30 years after Disney’s first TRON story hit theaters adds to the excitement. I admit I’m a fan. 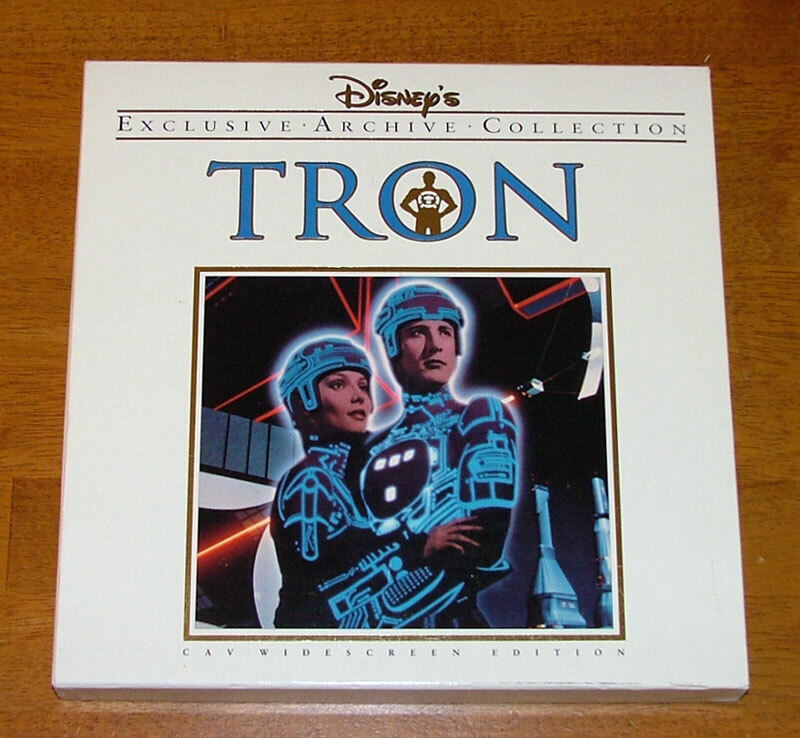 I still own the Special Edition Laserdisc Box Set of the original TRON movie and I purchased the 4-disc 3D Blu-ray edition of TRON Legacy the morning of its release. Being produced three decades apart, there are naturally some differences in the technology used in creating 1982’s TRON and 2010’s TRON Legacy; however, in some ways, we’ve not come as far as you might imagine. The original TRON was shot primarily using Super Panavision 65mm film cameras. In fact, at least one of the cameras used in the filming of TRON was previously used to film Lawrence of Arabia in the early 1960s. Most film-based movie cameras shoot on 35mm film. Because 65mm film offers over two and a half times as much picture area as 35mm film, the format can provide significantly higher resolution and picture detail over the more traditional format. Of course, it’s not just the size of the film and the type of cameras used on a production that determine the overall look of a movie. The lighting design, shooting conditions, technical and creative capabilities of the crew, post-production process, etc. all play a role in how a film looks. And the amount of processing and optical compositing a film goes through during editing plays a role in how clean the final version of the release print looks. TRON went through a heavy post-production process with lots of optical compositing and colorization of film frame blow-ups. Because of the unique hand-animated processes and early computer graphic imagery used on TRON, it’s a wonder it ever looked as good as it did. The new Blu-ray release of TRON – which was released the same day as TRON Legacy – looks amazing considering its age and production style. Today, most films are shot digitally. But some directors still prefer to shoot on 35mm film and occasionally, as with a few scenes in the recent film Inception, 65mm film cameras are brought out of the storage closets to shoot special effects scenes. 35mm film has been the quality standard since the late 1800s. It’s a very high quality format. Even though digital cameras offer several advantages over film cameras, they’re still in their infancy when compared to the 35mm film format. It’s somewhat difficult to compare the quality of film camera images to digital camera images. Film systems use an optical process that captures pictures by exposing light to a fine silver grain embedded in a chemical emulsion. Digital systems use an electronic process that records pictures by exposing light to a sensor of a fixed resolution which saves images as pixels. In attempting to equate film grain to pixels, most cinematographers would agree that 65mm film has a minimum resolution of 8,000 vertical lines of pixels, commonly referred to as 8K. 35mm film has a minimum resolution of 4K. 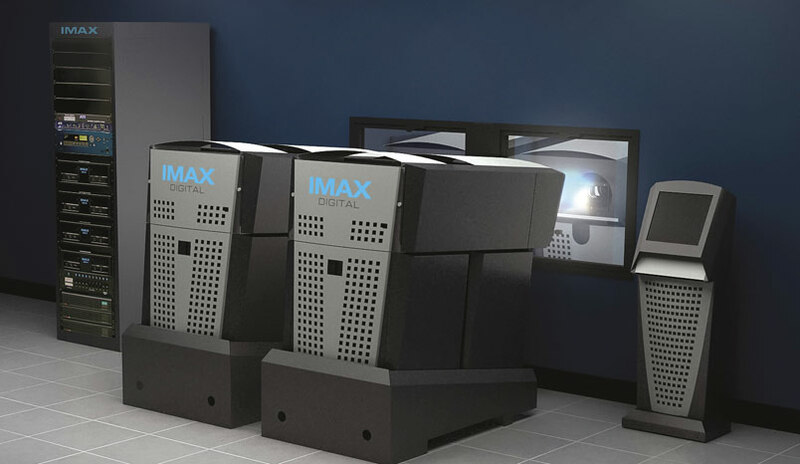 Most digital projectors in modern theaters, including the IMAX 3D projectors, utilize 2K projectors to present movies. So, if the original TRON was shot on 65mm film cameras which can provide a minimum 8K resolution, how does that compare with the latest digital cameras used to shoot TRON Legacy almost 30 years later? Well, the latest TRON film was shot using Sony F35 digital cinema cameras. These cameras are very good. They represent the latest mainstream technology for filming movies digitally. Their resolution? Less than 2K. Yes, the Sony F35, and several other competing systems, captures images using a 1920 x 1080 pixel resolution imager; that’s the same number of pixels on the 1080p HDTV in your living room. Not that resolution alone, by any means, determines the quality of a digital video camera but I have a $2,000 professional Panasonic camera that shoots at the same resolution as the $200,000 Sony F35! When it comes to movie-making and the transition from film to digital, does it seem like we’re stepping backwards rather than forwards? Wait, there’s one more point…most of the scenes in TRON Legacy were composed and projected in a 2.35:1 aspect ratio. 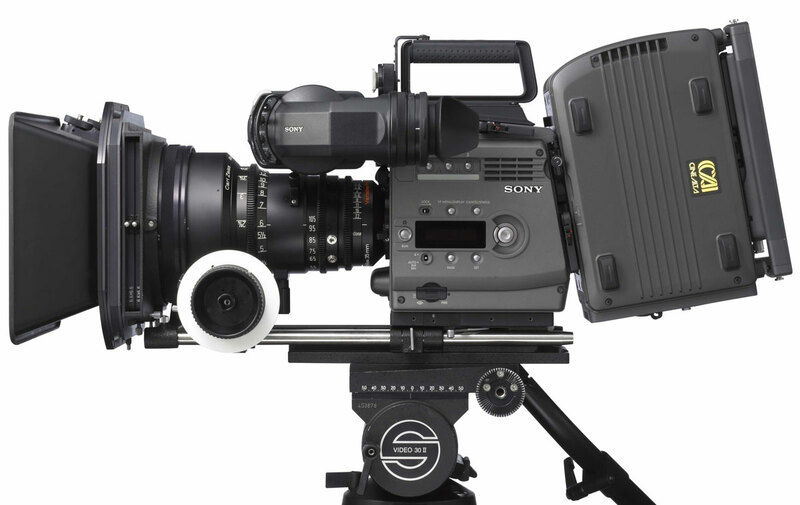 The Sony F35 cameras shoot in a native 1.78:1 aspect ratio and digital projectors display a native 1.9:1 aspect ratio. So, to present a 2.35:1 film digitally, black matte bars have to be added to the film to create the wider aspect ratio, just like when a letterboxed movie is presented on your TV using black bars on the top and bottom. This means that some of the pixels of the digital camera and the digital projection are being wasted on black bars rather than picture information. 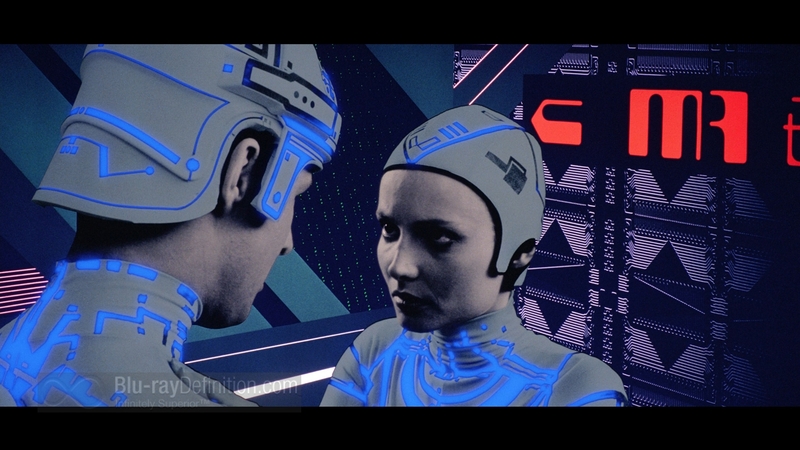 To be fair, when the original TRON was released in theaters on 35mm film, a bit of the top and bottom of the 65mm picture image had to be cropped off to fit on the anamorphic 35mm film print. But there were no black bars wasting a portion of the film frame; the entire 35mm film area was used. So, it sounds like shooting on 65mm film is way better than shooting on modern digital 1080p cameras. Well, there’s more to the story. In a film-only workflow, special effects have to be composited together. A cinematographer might shoot a background scene on one reel of film and then shoot the actors in front of a blue screen on another reel of film. The special effects department might create explosions, animations or other effects as separate elements each on their own reels of film. To create the final scene, all of these separate film elements have to be optically combined by layering them on top of one another and taking a composite photograph on yet another reel of film. Once a master edit of the completed film is ready, an additional set of film reels is produced from the master for distribution to theaters. All of this compositing and creating of new film reels over and over leads to a build-up of film grain and a loss of clarity. This is why special effects-heavy film producers often use 65mm or VistaVision film cameras for shooting their special effects scenes even when the final release prints will be down-sized to 35mm or even digital formats; it gives them more initial resolution to work with knowing that they’ll lose some of that during the post production process. Consider digital filmmaking, on the other hand. A background scene is shot on a digital camera and is loaded into the computer as an identical, pixel-for-pixel copy with no loss of resolution or clarity. The blue and green screen elements are treated the same way. Then all of the special effects, animations, color corrections and compositing are performed digitally using the computer. This means that there is no film grain build-up, no loss of picture quality or, in the case of elements that are created inside the computer and never shot by a camera, no video noise or other anomalies to deal with. So, while shooting TRON digitally doesn’t offer viewers the resolution of 65mm film, the filmmakers have eliminated many of the problems that the traditional film post production process presents and can actually create a cleaner, higher-quality picture for special effects films. 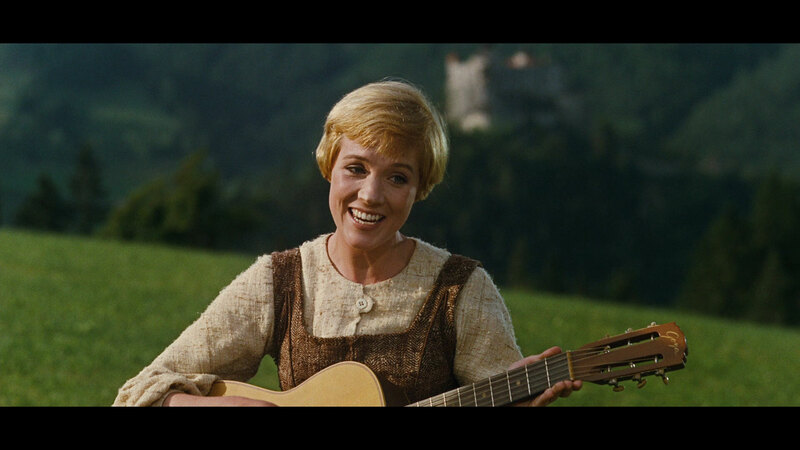 Compared to a straight 65mm film negative that doesn’t undergo compositing and other post production special effects processes, as in Lawrence of Arabia, The Sound of Music or even Baraka, the 1080p resolution still has a way to go. But we’re making progress. Red Digital Cinema Camera Company manufactures the Red One professional filmmaking camera that shoots at 4K with a Scarlet model in the works that shoots at 5K. And just this week, Sony announced a new F65 CineAlta camera said to mimic the look of 65mm film using an 8K sensor that shoots at resolutions of 4K and above. We already have 4K digital cinema projectors that bring out the detail of 35mm film; now those 4K projectors can be used to their full advantage by digital filmmakers as well. So, back to the TRON Legacy Blu-ray. It’s getting 4.5/5 and 5/5 reviews for both picture and sound quality on just about every Blu-ray site that has reviewed it. Heck, even the sound engineers at Skywalker Sound, who managed the sound editing and mixing for the film, are stating that TRON Legacy is their new reference film for movie sound quality. Is it all that it’s cracked up to be? Why, yes it is! I saw TRON Legacy in a theater with one of the new IMAX Digital 3D projection systems installed and was blown away by both the picture and sound. (Being a fan of the original film and the sci-fi/action genre in general, I enjoyed the story, as well.) The colors, contrast, clarity and realism of the visuals was more than impressive. And the soundtrack, including all of the original sound design and the Daft Punk original score, was lifelike and room-shaking. Does this experience translate to the home theater Blu-ray version? Well, that depends on the quality of your home system, of course. I have a 65″ 3D HDTV calibrated to SMPTE standards and a THX-certified home theater sound system at my disposal so I can generally enjoy the most the Blu-ray format has to offer. I can honestly say that, after 3 complete viewings over the past couple of weeks, I’m still mesmerized by the TRON Legacy Blu-ray. It’s that good. The movie-making process has changed quite a bit in the past 10 years with the advent of digital cameras, computer animation and editing and 4K 3D digital projection. Home theater technology has also come a long way from the 640 x 480 resolution of the laserdisc and 3-channel Dolby Stereo. And it will all continue to advance at a rapid pace. Televisions with 2K and eventually 4K resolutions will become a reality and 8K and even 16K cameras will be developed. And there will likely always be those who prefer to shoot on film, which is the original high definition format. While there may not be much of a technical difference between the IMAX Digital 3D version of TRON Legacy and its Blu-ray counterpart, seeing TRON and other films in a modern theater with digital projection and a high-end sound system can be an exhilarating experience. And the ability to closely reproduce that experience with a dedicated home theater allows film fans to enjoy those experiences for years to come. The TRON Legacy Blu-ray allows you to push your home theater system to its limits; I say you owe it to yourself to own TRON Legacy on Blu-ray, even if it’s just to show off your system to your neighbors! What’s the deal with Digital Retouching? Just as creating a video production includes the shooting phase and the editing phase, the process of creating photography worthy of use in your company’s branding, marketing and advertising efforts should usually include at least some amount of post production in the form of digital retouching. Unless a photographer is capturing the simplest of shots, it’s doubtful that the image will look its best until a talented post production artist has applied their craft. Digital Media Services presents a brief overview of what happens during the photo editing phase and why you should almost always include time and budget for digital retouching. Most professional digital photographers capture imagery using their camera’s RAW file format, which is a digital image recording format that saves the unmanipulated image data directly from the camera’s photo sensor. A RAW image can be thought of as a digital negative that’s yet to be processed for viewing, printing or further enhancement. The benefit of shooting in the RAW format is that it allows the photographer to preserve the highest range of image information from the camera sensor and therefore provides the greatest flexibility when processing the image for final use. Viewing a RAW image, like viewing an old film negative, can be somewhat underwhelming. Because a RAW image has yet to be processed by any light grading, color balancing or sharpness settings, the image can look flat, dull or even unusable. However, unlike a JPEG or TIFF image, the RAW format has no “baked-in” processing and is capable of being enhanced in a number of ways to provide a wide range of visual styles. Clients unfamiliar with the RAW image format will likely be less than impressed with a photographer’s work based solely on the look of the RAW files, so one of the first steps a photographer will perform after completing a photo shoot is to process the RAW image files into a more familiar file type such as JPEG using standard or custom presets from their preferred image processing software such as Capture One Pro. This step is similar to the developing of traditional film rolls. It provides an introductory processing step for the images that prepare them for viewing. It’s important to note that this initial processing is still only an intermediate state of post production as additional manipulation and enhancement will usually occur. Once the client has reviewed all of the processed images and selected their preferred shots, the real digital retouching can begin. A digital imaging artist who specializes in photo enhancement, manipulation and clean-up can begin to work on the selects by performing fine tuning of contrast, color balance, saturation and other image settings. The retoucher can also correct imperfections in the images from lens distortion and dust and dirt marks. In addition, any stylized look that needs to be achieved can be created by the digital artist by further manipulating the image settings and by the creative application of filters and advanced layering and compositing techniques. Sometimes the goal is to achieve a look as lifelike as possible. Other times a very surreal look is preferred. In either case, a talented digital retoucher is the key to creating the desired output. There are a multitude of additional enhancements that can be performed such as changing the color of a specific object or the removal of unwanted elements like power lines and displeasing facial wrinkles and blemishes. Sometimes a retoucher will need to perform advanced compositing techniques where portions of completely separate images are combined into one. For a look at how a truly talented digital retoucher can transform a nice photograph into something that grabs the attention of the viewer and presents the representative product or brand in the most favorable light postible, check out some of the work our preferred digital retoucher Ryan Jacobson presents on his website www.RyanDigital.com. It takes much more than just a nice camera to create a top-quality image. Lighting, image composition, talent direction and digital retouching all need to come together to produce the most eye-catching and impactful imagery. I’ve been reading more and more lately from companies trying to sell you on the benefits of adding video to your website. Some of what I’ve read is great advice but much of it is simply a means to get friendly with your company checking account. It’s quite true that adding video to your website can be beneficial. When incorporated properly, online video can bring SEO benefits and can allow you to better connect with your website audience. As we all know, some messages are better-communicated using picture and sound than using text alone. The first online video I produced (back in 1997) was for the bank and trust division of a regional financial firm who needed an effective yet inexpensive means to communicate to their nation-wide staff of sales professionals information about new SEC and banking regulations and the company’s new product offerings that addressed these regulations. 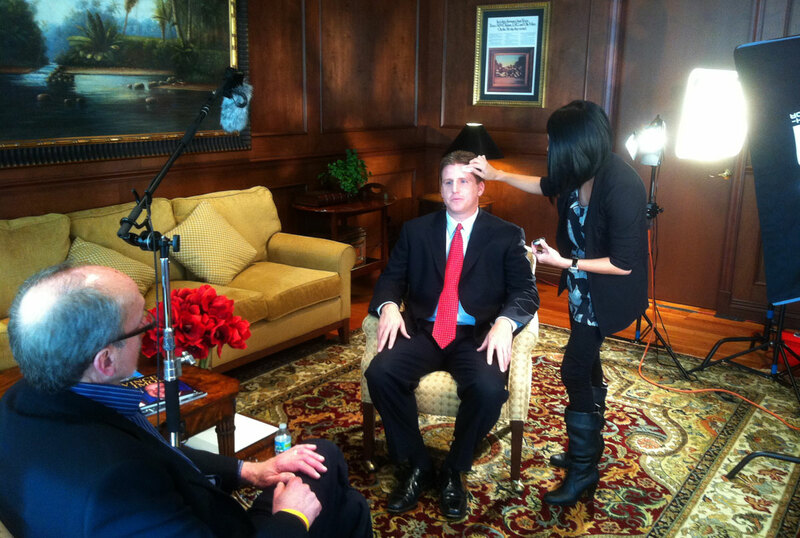 The production was a simple studio shoot of the division president addressing the camera but was much more personable than an email or memo and allowed the viewers to see and interact with one of their company’s top executives in a manner most of them previously had never been able to. Seeing one of their company leaders enthusiastically discussing the new products and offering ideas on what type of clients the products might be suitable for brought the communication from what would normally have been a bunch of text on a page to a well-received message that more efficiently educated the sales staff and gave the company an advantage over competitors who would be printing and mailing out a bunch of brochures and white papers. The simple video presentation was so effective that it immediately became the norm for the company’s internal sales presentations and quickly expanded to all divisions of the company and eventually to client communications. Whether you own a law firm, a manufacturing plant or a lawnmower repair shop, there’s definitely a place for video on your website. We all have customers that we need to speak to and video can be a powerful influencer. But making the decision to hire someone to produce a video for your company website shouldn’t be the end of the story. As with buying a car, a steak dinner or legal services, there’s an abundance of choices, prices and quality levels among video production companies. And don’t forget about experience and training. Who’s going to be able to provide you with a more effective web video production – someone who dabbles in video as a hobby or someone with an extensive background in producing video content for marketing, branding and advertising campaigns? Sure, cost is always an issue. But I’d bet that most business owners would agree that spending $500 on a product that brings you no return of any kind is not as fiscally responsible as spending $2,000 on a product that positions you an a leader in your industry and prompts viewers to get in touch with you. Choosing a professional services provider on cost alone is almost never the best way to go. The other extreme is valid, too. There are plenty of companies out there who will gladly take your hard-earned money in exchange for a template-driven, cookie-cutter video that’s barely customized to you, your business or your needs. Finding the right balance of cost, quality, knowledge and experience is the key. And keep this in mind – a poorly-conceived or badly-produced video may actually do more harm than good. Imagine coming across a website for what seems to be an interesting new household product then watching their promotional video that uses dim lighting, is poorly-edited, has continuity problems and is way too long. There’s a good chance that you’d be left with a negative impression of that product. No video at all may have been a better option for the product manufacturer! To help our readers get started on embarking on an effective web video marketing plan, we present some of the most common uses of online video. What follows is certainly not an all-inclusive list of what types of video can be used on the web – the possibilities are almost endless – but a brief overview of some of what we’ve seen to be the most effective uses of video for the companies for which we’ve created content. It’s been our experience that every web video production should be a unique entity; what works for one company may not work for another. Introductory video. For companies with modest marketing budgets or who are just beginning to add multimedia to their website, an introductory video may be the best starting point. An introductory video typically provides a “first contact” between a business owner and his or her potential customers. It may consist of a welcome message, a special offer or an overview of the website. Its effectiveness comes from the simple fact that a website visitor can gain valuable insight into the individuals who own or operate a business by seeing them on camera. Their personality, appearance, level of professionalism and enthusiasm (or lack of) are all on display. By providing a simple video introduction to your and your company, you immediately position yourself one step ahead of your competition because a potential client feels that they know who they’re dealing with. Company overview video. For a step beyond the introductory video, many businesses choose to produce a company overview video. With this type of video, a viewer can gain more insight into the company officers or employees, the range of products and services the company offers and what makes the company unique. A company overview video can be a valuable tool in encouraging potential customers to pick up the phone or send an email message. This is especially important for businesses who offer common products and services. If a potential client is shopping for a roofing company, for example, and they come across a website that features a professionally-produced video about who owns the business, what kind of training and experience they require of their roofers and how they give back to their community, that potential client is certainly going to be more likely to want to be associated with that roofing company. Product & services video. Some companies prefer to use online video to showcase their products and services. If your product selection, manufacturing process, company facilities or range of services speaks for itself, then a product & services video may be the way to go. Think of it this way – if your business is based on what you sell and not who sells it, why not show the world just how great your product is? This is especially important if what you sell is so unique that text and pictures alone don’t adequately describe it. I once stumbled across a website that was selling a special plumbing tool that helped remove stuck shower valves (I was in the midst of a DIY home repair). I read the product descriptions and even studied the photos on the site. But it wasn’t until I came across a YouTube video showing the product in use that I fully understood how it worked! And by that time, it was too late; I had already purchased a competing, less effective product at my local Home Depot. Client testimonial video. Alternatively, many of you are in the people business. It’s your company management, your salespeople, your product specialists, your customer service representatives and your employees that set you apart from your competitors. Why not let your clients tell the world why they choose to do business with you? 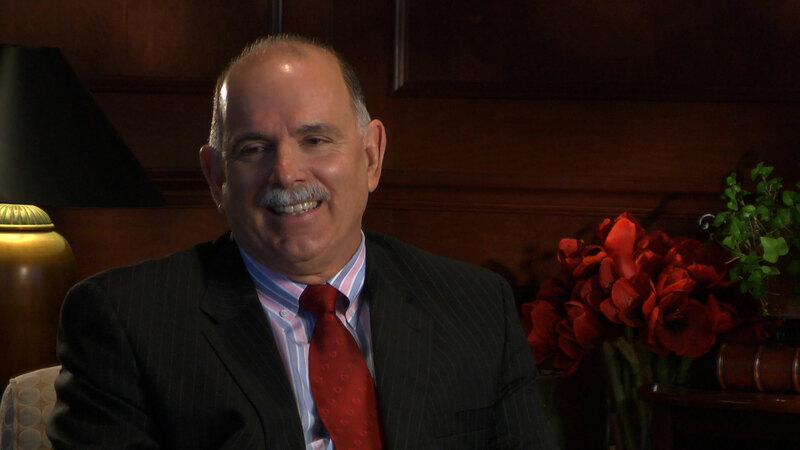 I recently completed a web video for a small but very successful life insurance provider. When I was initially contacted by the client, I immediately began trying to think of ways to create a compelling video about a group of life insurance salespeople. But shortly after I began speaking with the client in detail, I realized that this company was special. They were so specialized in what they did and managed their clients needs with such expertise that I concluded that there was virtually no one else like them. And in speaking with a few of their clients (who happened to be high-net-worth, notable individuals), it became apparent that no better script could be written than what was to be shared by these clients. Satisfied clients are always one of the best sales tools a company can have. Educational video. A company might choose to produce some sort of educational video in order to present themselves as experts in a particular field. I have a legal firm client who specializes in defending victims of DUI car crashes. This law firm knows DUI law and related legal material so thoroughly and has such in-depth trial experience that they rarely lose a case. In fact, they’re considered such experts that they assist Florida judges in drafting interpretive briefings for DUI law cases. 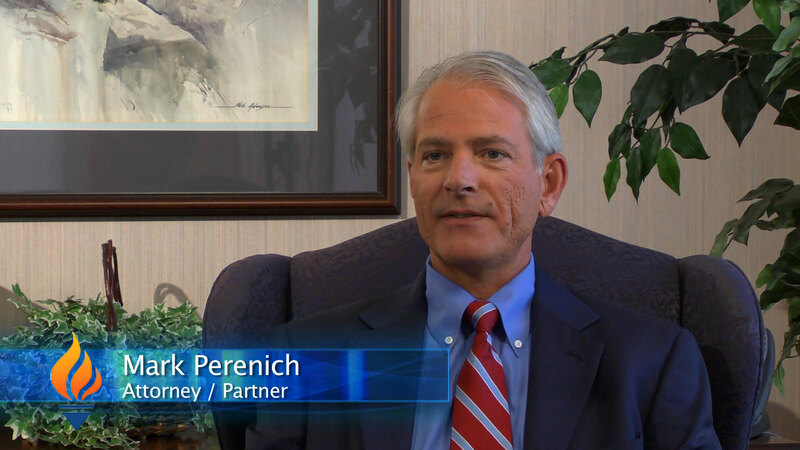 Part of their online marketing efforts include short videos designed to assist other DUI attorneys understand how to best prosecute drunk drivers. And you know what this does? It positions this client of mine as a statewide expert in DUI law and, in turn, helps create considerable business for their DUI Training Seminar classes. Pretty effective use of online video in my opinion. TV commercial. While creating a 30-second or 60-second TV commercial to post on your website may be one of the first ideas that comes to mind, it’s sometimes one of the ideas we recommend the least. The reasoning is simple – unless you’re willing to invest the time, effort and financial resources necessary to create a really strong spot, a TV commercial simply may not the best platform to present your message to an Internet audience. Why? Well, for several reasons. First, an internet audience is not the same as a television audience. Visitors to your website are likely actively seeking information; they’re not being forced to sit through your message while waiting for a different program to resume. Presenting your message in the traditional TV spot format might miss the mark in speaking to your audience. Secondly, your message is not being sandwiched between competing messages on either side. Therefore, there’s no need to be bound by creating a message in which the main goal is to be different than what was presented a few seconds earlier. Finally, why limit yourself to the format of a commercial? Being confined by a strict 30 second or 60 second time slot or spending time presenting phone numbers and other contact info with tag lines at the end serves no purpose. You’re better off creating a message directed specifically to those who have chosen to visit your site. All that being said, there’s nothing wrong with presenting a series of TV commercials on your site. I’d just recommend it be a supplement to your other messaging as opposed to your main online video efforts. As previously mentioned, there are almost unlimited possibilities for making effective use of web video. 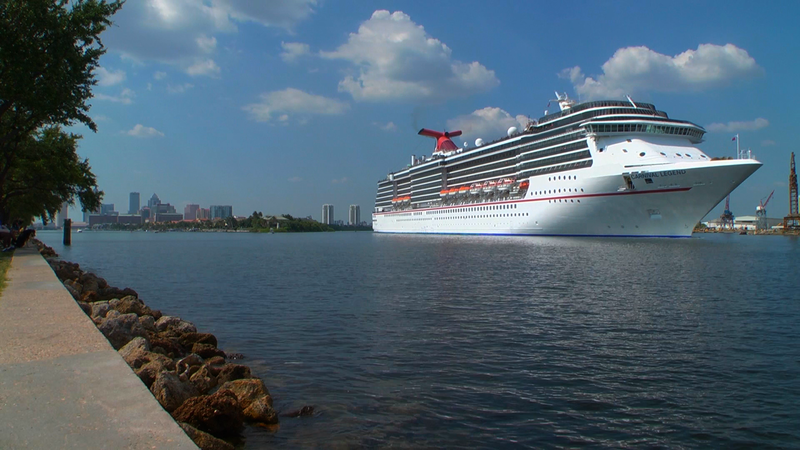 I’ve worked on web videos for football stadiums, for retired maritime battle ships, for high-end home builders and for luxury cruise liners. The key is in creating something that visually communicates your message to your target audience in a manner that compels your viewers to want to learn more. Video can present your product, people or values in a manner no other medium can. Web video doesn’t have to cost a lot to be effective but has the potential to serve as the core component of an entire branding campaign. In seeking out a production company to help you with your web video efforts, we suggest you find someone who first takes the time to understand your business and your goals for utilizing web video and who communicates with you in a clear, professional manner. If they can follow that up with evidence of their skill, experience and knowledge in producing quality, effective video communications, you may have a winner. Finally, if they can present you with a variety of customized products that satisfy your budgetary needs, they’re likely a good choice. So, if you haven’t already done so, take the plunge and add some video to your website. Start small if you like and build from there. Or, if you’re ready to make a dramatic change in your marketing efforts, a powerful series of video messages may be the way to go. In either case, a well-designed web video campaign has almost no downside, unless your goal is status quo. Contact Digital Media Services for more information on producing effective web video. We’d be glad to answer any questions you may have about incorporating web video as part of your marketing efforts. If you fancy yourself any type of professional or amateur videographer or photographer, you likely do a lot of shooting out in the field, meaning at a location outside the comfort of a studio or home. As you’re usually limited in the amount of equipment you can bring with you on location, you’ll need to plan your shoots carefully. Most shooters like to assemble a field kit that includes some basic supplies and accessories that they always bring with them on location. In this article, we present a collection of inexpensive items we like to make sure we have with us at all times. One item we can’t do without is our Lenspen. 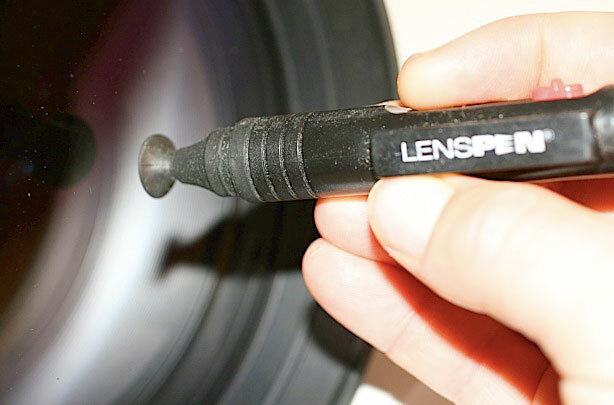 A Lenspen is a lens cleaning device that features a retractable brush on one end and a soft cleaning pad on the other. We first use the soft brush to remove any dust particles, sand or other light debris from our lens and then use the soft cleaning pad to wipe away any fingerprints or other contaminates. The cleaning pad works better than lens tissues or wipes because it has a carbon-infused cleaning surface that absorbs oils and other sticky residues. It’s kind of like using newspaper to clean windows. The original Lenspen product retails for $15 and there are a variety of sizes and models available for different cameras and surfaces. The manufacturer also makes useful items such as air blowers, screen cleaners and sensor cleaners. 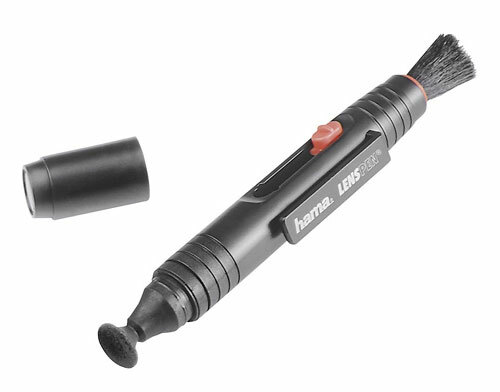 We’re confident that once you use a Lenspen, you’ll no doubt want to make it a permanent item in your field kit. 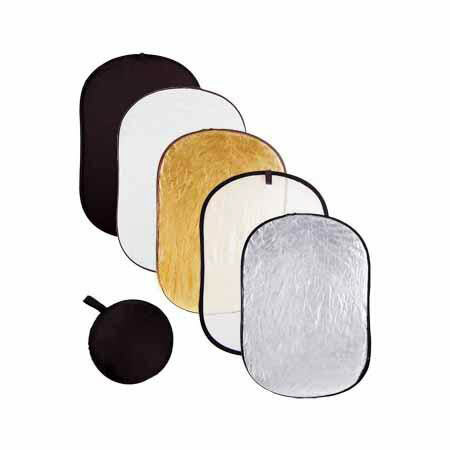 Another inexpensive accessory we always like to have with us is a collapsable reflector. Reflectors are useful for bouncing available light to help fill in shadows, highlight faces and generally brighten up areas that are a little too dark. When we aren’t somewhere where we can plug in and set up a studio light, a reflector or two may be just what is needed to provide enough light to get our shot. And reflected light is usually a softer and more diffuse quality of light which is often desirable for portraits or beauty shots. Any flat, reflective surface such as a large white card can be used as a light reflector; the benefit of collapsable reflectors is that they are specially-designed for directing light and fold up into zippered pouches about one-third the size of their fully-expanded size. Collapsable reflectors come in various colors, shapes and sizes depending on your needs. White reflectors simply bounce existing light unchanged while silver, gold and other colored reflectors alter the light to provide stronger highlights or warmer tones. Many different manufactures such as Photoflex, Wescott and California SunBounce offer collapsable reflectors at a wide range of prices. Small reflectors can be had for as little as $10 and high-quality multi-piece kits can cost up to $200 or so. Small, lightweight and inexpensive, a collapsable reflector is another item we want to have with us at all times. We’re not always able to bring our heavy-duty tripods with us when we’re on a shoot, when we’re vacationing or when on an outing with friends and family. But not every shot can be taken properly using handheld methods. If we need to shoot with a long exposure time or slower shutter speed or need to get our camera somewhere we can’t reach, we’re out of luck, right? Well, not if we’ve brought along our portable, flexible mini-tripod! 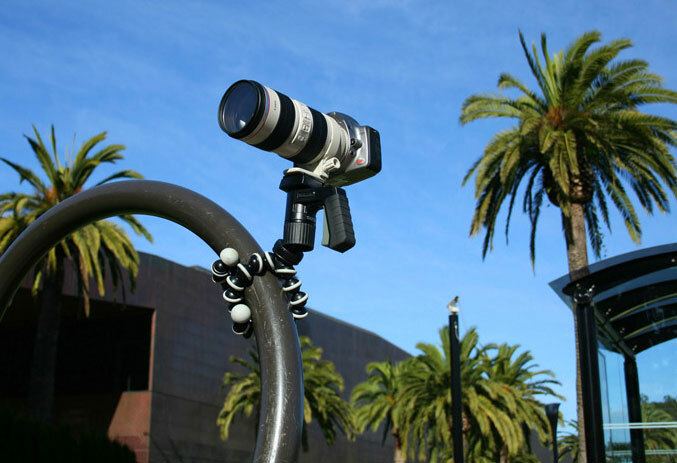 One of the most popular brands of travel-sized tripods is the GorillaPod. Not only is the GorillaPod easy to carry in a camera bag or even a pocket, but its legs are made of flexible modules that allow one to bend, wrap, twist and contort the tripod into an almost unlimited number of configurations, allowing the user to balance a camera on uneven surfaces and even secure the camera to a tree branch, light pole, bicyle or anywhere else the photographer or videographer can think of. I’ve used my GorillaPod to capture time lapse video of the Macy’s Thanksgiving Day Parade, to discretely record lectures and presentations, to capture “survalence” video shots and to shoot nature videos. The uses are limited only by one’s needs and imagination. GorillaPods and similar devices range in price from around $20 to around $100 depending on the size of the device it needs to support. They say necessity is the mother of invention; that’s especially true in the video and photo world as evidenced by some of the strange, creative and useful devices I’ve seen in use. I’d love for our readers to share with us what they like to keep in their field kits; items either available for purchase or put together on their own. And for bonus points, share will us the creative ways you use your C-47s! All content Copyright © 2011 by Brian Satchfield and Digital Media Services. Unauthorized use and/or duplication of this material without the express and written permission from this blog’s author and owner is strictly prohibited. Excerpts and links may be used, provided that full and clear credit is given to Brian Satchfield and Digital Media Services with appropriate and specific direction to the original content. The Digital Media Services Blog by Brian Satchfield is licensed under a Creative Commons Attribution-NonCommercial-NoDerivs 3.0 Unported License.